This is the result of the Slovenian approach of holistically adopting open education. 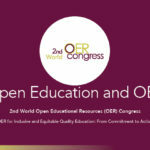 The three satellites Artificial intelligence in OER, OER Policies, European technologies and Opening up Balkans are the latest activities in a series of efforts to mainstream OER. With these actions Slovenia is fully committed and is taking actions to push forward the global agenda on OER.